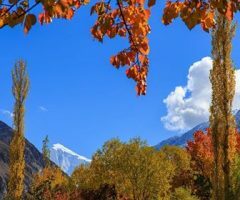 Autumn is a great time of year to visit Pakistan, Specially Hunza And Skardu in Gilgit-Baltistan region, since its one of the best places to see autumn foliage in the world. 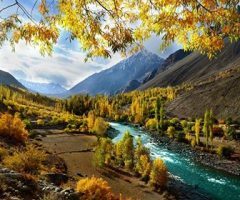 Pakistan is blessed with a beautifully distinct four seasons. 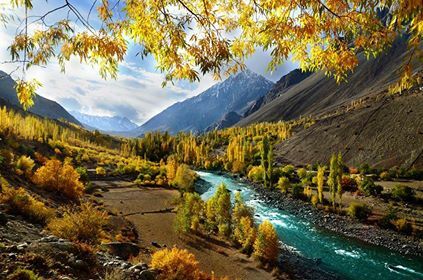 And of the four season, perhaps the most popular season to visit Pakistan is autumn with truly beautiful red and gold colored leaves. The whole region presents breathtaking views and vibrant landscape for a nature Lover. Arrival at Islamabad, after meet and greet with our Company representative, transfer to hotel. after some rest in hotel, city tour of Rawalpindi and Islamabad. 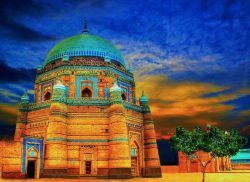 Rawalpindi is lively bustling city with the crowded streets and colourful bazaars, through its lacks the grand monuments, The bazaar should appeal to anyone with the desire to see the real Pakistan. Islamabad is new Capital 36 years old well-planed city of Pakistan is lush green at the footsteps of potohar hills. We shall visit Faisal Mosque, Shakarpearian Gardens with a visit to Lock versa, institute of Folk and Traditional heritage. evening back to hotel for overnight. 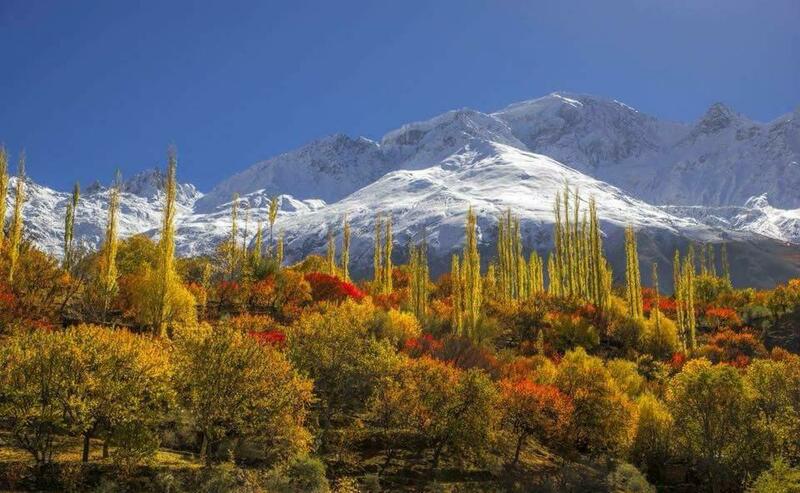 After breakfast in hotel at Islamabad, we drive to Chilas, it will take almost 12-13 ours, en route we do some photo stop and our lunch will be in Besham, upon arrival transfer to hotel, dinner and over night in hotel. 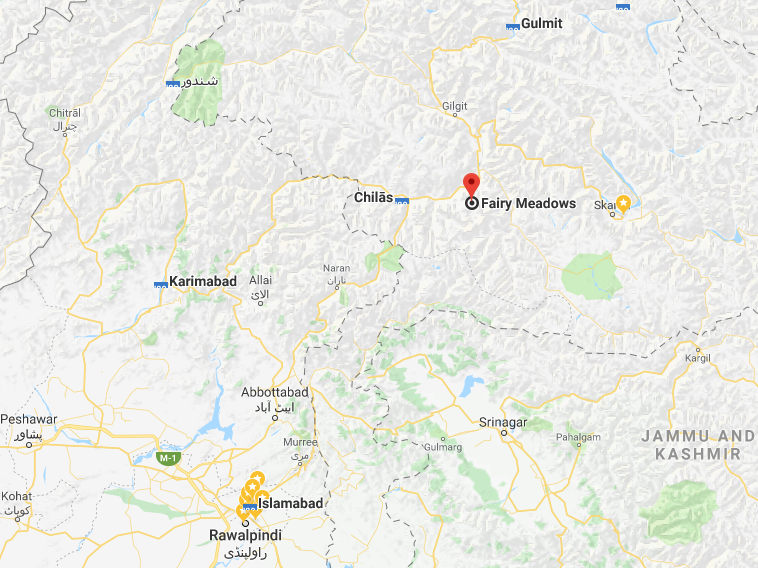 After breakfast in hotel at Chilas we drive via Karakoram highway to Karimabad,222km. Highway is most exciting and thrilling. It is a monument to the engineering feast and one of most spectacular roads and world highest metalled border crossing. 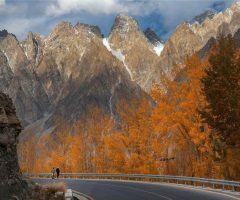 It connects Pakistan and China stretching over a distance of 1300Km between Islamabad and Kashgar. 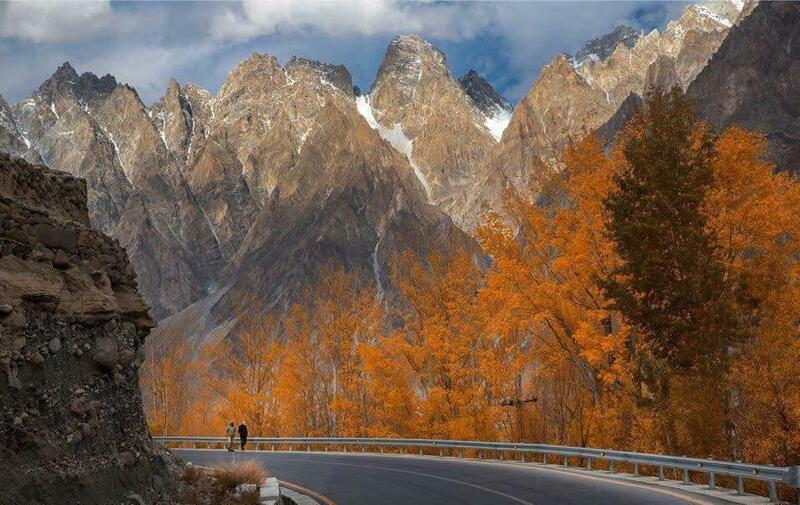 The Karakoram highway was constructed jointly by the Chinese and Pakistani, begun in 1960s and finally constructed in 1976.It is an engineering wonder, but cost of many lives .en route stop at Rakaposhi view point for lunch, After lunch proceed to Karimabad, afternoon visit local bazaar, dinner and overnight in hotel. and half hrs drive, on the way to Hunza we stop at Rakaposhi 7788m View point for a cup of Tea, proceed to Karimabad. dinner and overnight in hotel. After breakfast we drive to Khunjerab Pass 4737m,Pakistan China border,179km almost 3 hrs drive, In the olden days there were few high passes leading from china that were suitable for Travel, Today the Khunjerab Pass, which at an altitude of 4737m is the highest point on the Karakoram Highway, provides an easy all. weather entry from Pakistan to Famous Sinkiang Province of the peoples Republic of China. We do our packed lunch at Khunjerab Pass, drive back to Gulmit for overnight. After breakfast in hotel, we drive to Gulkin Village, start hiking on Gulkin Glacier to Borit Lake, Its almost 1-2 hrs hike up to Borit lake with some beautiful view. we do our Lunch at Borit Lake. 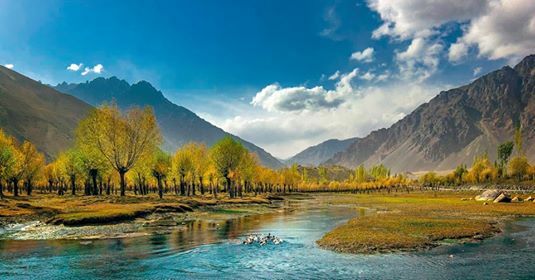 Its a beautiful Lake under Mountains, afternoon drive back to Gulmit, Visit Village, meet the local people and see the Culture, we also visit Local Carpet making Canter, where local woman and Men making Carpets and handicrafts, afternoon drive to Gilgit, It will take 3-4 hours from Gulmit to Gilgit. Dinner and overnight in hotel. Day-08: Phander-Shandur Pass(3.737m) Day Excursion. 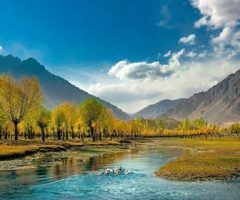 After breakfast in hotel we drive to Shandur Pass(7.337m) border with Chitral valley and one of highest Polo Ground in the world, En route we can do also Trout Fishing at Langar, Trout Fist is famous in this Area, afternoon back to hotel for dinner and overnight. After breakfast we do some sightseeing in Phander, visit Phander lake, proceed to gilgit, 4-5 hours Jeep drive, upon arrival transfer to hotel. Breakfast in hotel, drive to Raikot bridge, Further drive by Jeep to Tato Village, from here we do hike towards Fairy Meadows, 3-4 hours easy hike until Fairy Meadows, afternoon just relaxing with the amazing view of Nanga Parbat 8.126m. dinner and overnight in Huts. 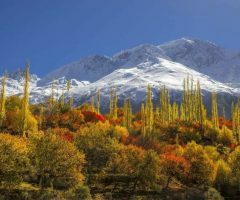 Day-11: Day Excursion to Nanga Parbat BC. 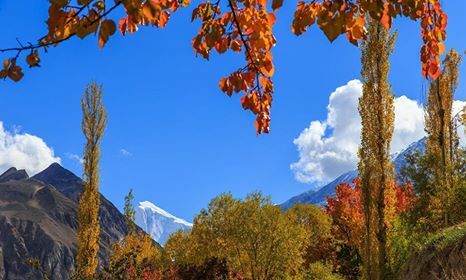 Day hike to Nanga Parbat BC or Beyal Camp, Easy hike with the pleasant view of some beautiful mountains including Nanga Parbat, Buldar Peak, Juliper Peak, and Raikot Peak, afternoon back to Fairy meadows for dinner and overnight. After breakfast hike to Tato, Jeep ride to Raikot bridge, Further drive to Chilas, 4-5 hours drive from Tato to Chilas, upon arrival transfer to hotel, dinner, and overnight in hotel. Transfer to Islamabad International airport, Fly back homeland, end of Services. 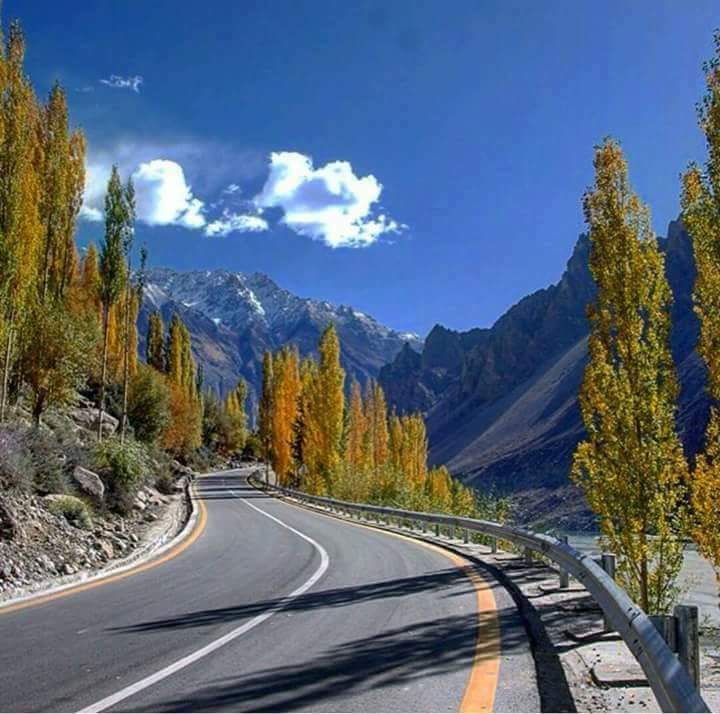 Privet air-Conditioned Transport in City and jeep in Gilgit-Baltistan region. Hotel room in sharing bases including breakfast and lunch. 7. Dinner is not include in given cost. Saturday 12th October Until Friday 25h October.